Art & TheatreGangsta Granny | Live on Stage! Gangsta Granny | Live on Stage! 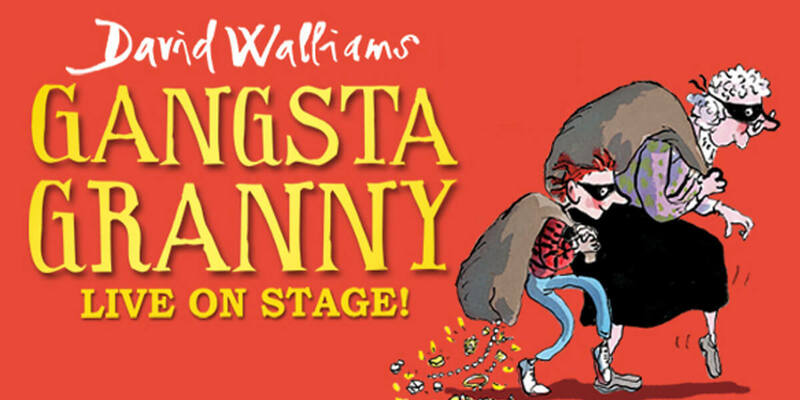 Birmingham Stage Company, the acclaimed producers of Horrible Histories, George's Marvellous Medicine and Tom's Midnight Garden, are bringing their acclaimed West End production of David Walliams' Gangsta Granny to The Olympia Theatre. Gangsta Granny is the story of Ben and his grandmother. It's Friday night and Ben knows that means only one thing – staying with Granny! There will be cabbage soup, cabbage pie and cabbage cake and Ben knows one thing for sure – it's going to be sooooooooo boring! But what Ben doesn't know is that Granny has a secret – and Friday nights are about to get more exciting than he could ever imagine, as he embarks on the adventure of a lifetime with his very own Gangsta Granny! Playing Granny will be Louise Bailey, who appeared in the show on its previous tour and in the West End. She's joined by Tom Cawte as grandson Ben along with Jason Furnival and Jenny Gaynor, who play Ben's parents. “All you can do in this life is follow your dreams. Otherwise you're just wasting your time” – Gangsta Granny. Gangsta Granny is a must for all families as the show will be enjoyed by everyone from 5 to 105! It's both laugh out loud funny and thrilling but also has some very moving and truthful things to say about family relationships. The show is due to be around 2 hours long including interval.